A keepsake for a retrospective of the late Chris Stern’s letterpress work at Design Commission Gallery, this coaster was printed using hand-carved linoleum blocks and handset wood and metal type. 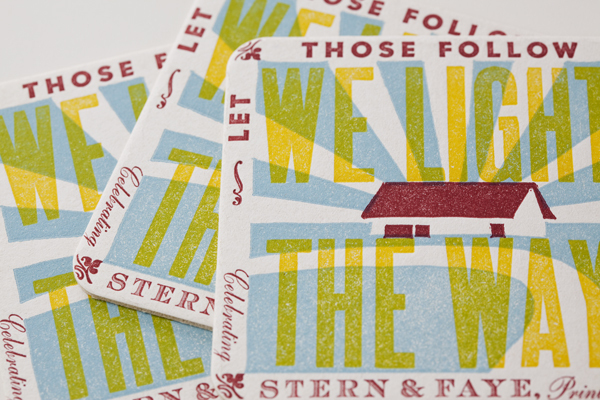 This particular barn is iconic among Northwest letterpress aficionados, who have all made the pilgrimage to visit Chris Stern and Jules Remedios Faye at their print farm in Sedro-Woolley. 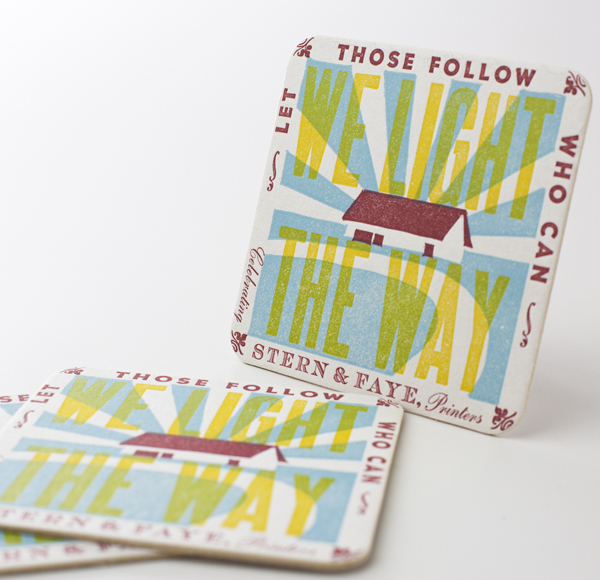 “We light the way” is a quote that Chris used in one of his prints, but it also refers to the way Stern & Faye inspire letterpress printers with their uncompromising craft and exquisite design aesthetic.